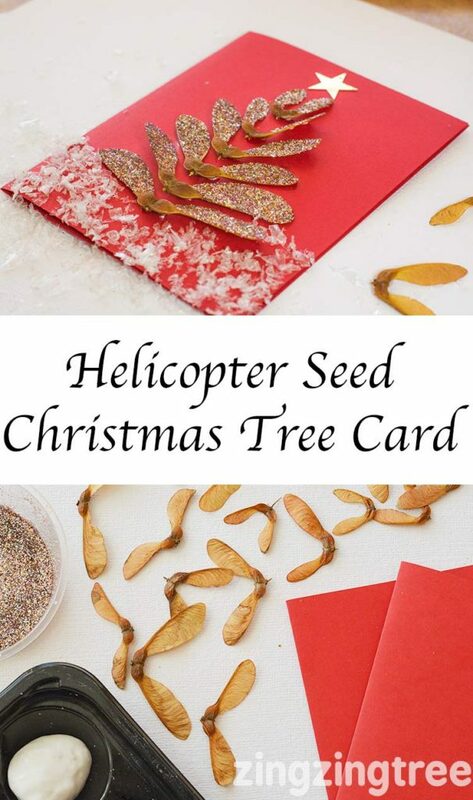 Helicopter seeds (we call them Sycamore Seeds in the UK) are beautiful to craft with as this gorgeous Helicopter Seed Christmas Tree Card demonstrates. 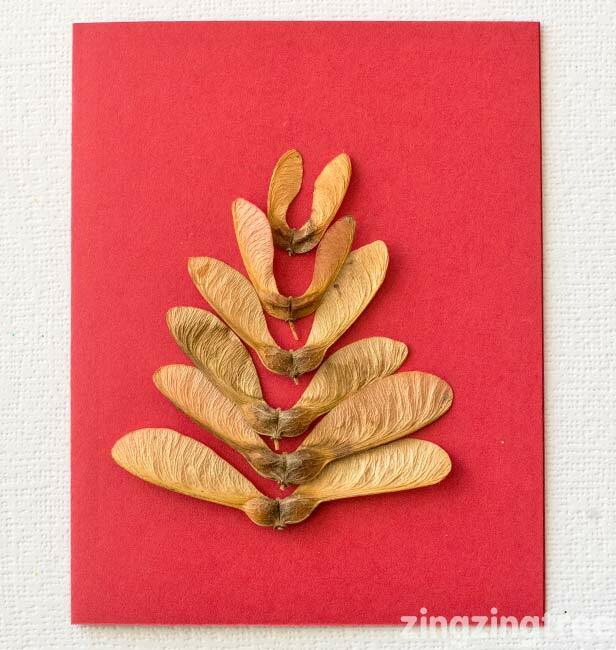 They are visually such a beautiful and tactile material to craft with and although I have used glitter on them you could leave this out and leave the warm natural tones of the seeds themselves. The first thing you need to do is to plan out how you want them to sit on your card. 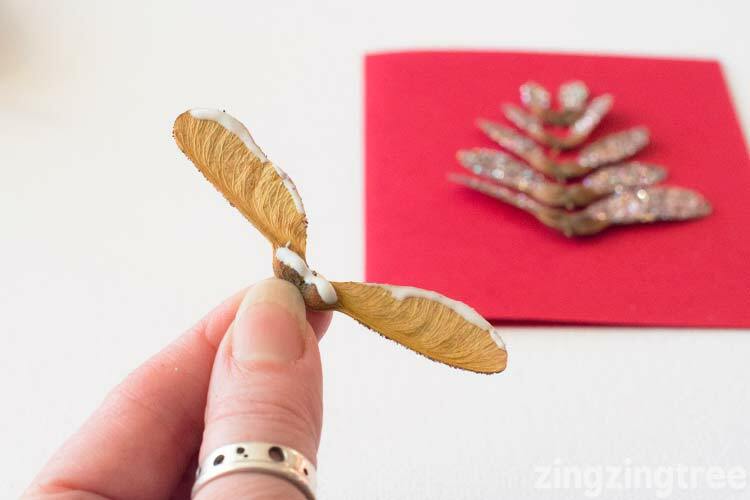 Next paint PVA Glue on the wings of the helicopter seed (one side only) and dip them gently in your glitter. 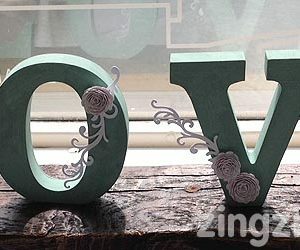 I have pots of homemade mixed glitter and loved this one because it had some reg, green, yellow and silver that seemed to work really well with the red card. Set them to one side to dry a little. 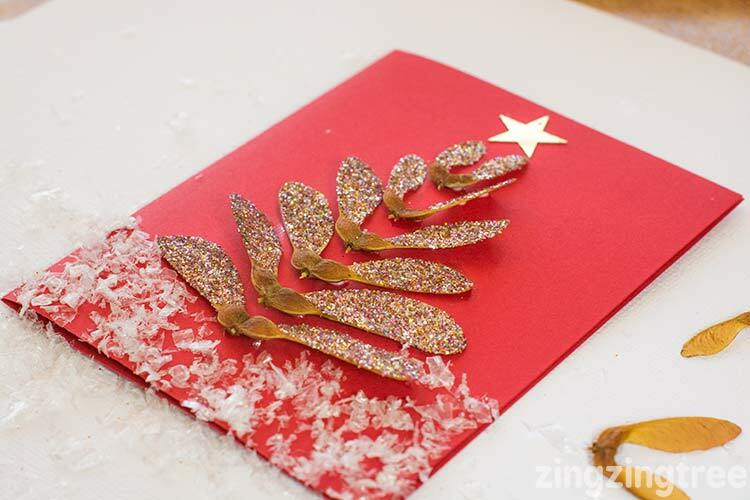 Gently flick off the excess glue and reposition them on the card. Now glue them in place. 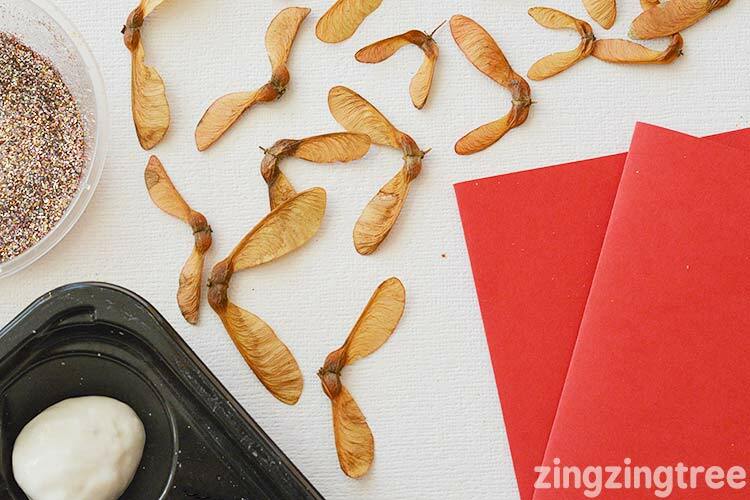 Have a good look at how each sycamore seed lays on the card so you can identify the areas to add glue to. 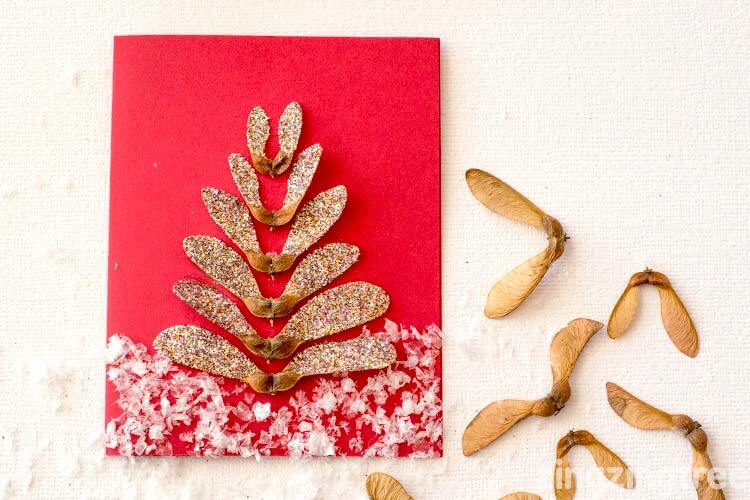 Using a paintbrush dap some blobs of glue around the bottom of the tree and sprinkle on your fake snow. You can keep dabbing and adding snow until you get the coverage you need. Finally add a gold star and your Christmas Tree is complete.